Are you ready for a community engagement platform? How to know it’s the right time to invest in a community engagement platform for your church. Engagement with their congregation is a major focus for all churches. Connecting with and supporting the community they live and work in helps to further their mission. As the church community grows and increases in complexity, the ability to stay engaged and connected becomes more difficult. Thankfully, technology provides solutions in the form of a community engagement platform. 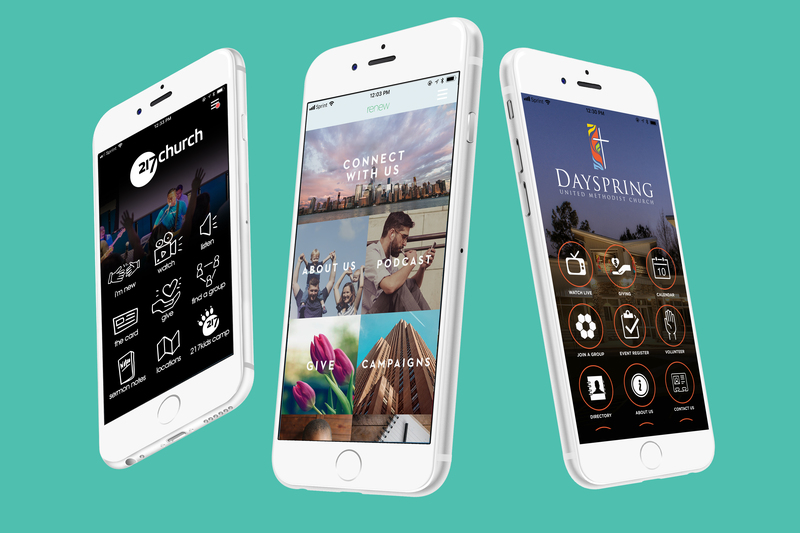 A mobile app supported platform that gives the church the ability to put the community in the palms of their congregations hands. But when is the right time to invest? What types of issues or obstacles can technology help churches solve? Our experience in working with churches over the years gives us some valuable insight into their day to day struggles. Looking back on all the conversations, we find a pattern starting to evolve. We are now able to accurately predict when a church is ready based on their current situation and the obstacles they face. Today we are talking to Katrina, one of our member engagement consultants, to gain some valuable insights into what we have learned about the obstacles churches face that warrant an app platform as a solution to engage and connect with their members in meaningful ways. aware3: Hosting and managing events can be a complex process. Can you share with me what we have learned about how churches experience event registration? Katrina: This one is a big issue and can cause multiple problems for the church. I would say the biggest concern we run into is when churches allow for multiple avenues to register for a single event. In the end, they waste so much time trying to figure out who is coming to the event and, if appropriate, whether that person has paid. They often times end up creating a bad experience by looking disorganized to their members when they planned for, let’s say 60 people but 90 people showed up. The church’s desire is to serve each member well. Unfortunately, they wrap up the event feeling like they did not accomplish that goal. aware3: I totally agree. Events are suppose to be amazing experiences for their members and it can be so difficult when you don’t have the right tools. That leads me to my next question. These events need to get communicated out to the members if anyone is going to attend, right? So, what are some of the struggles you are seeing across church communities when it comes to communicating with their members? Katrina: Yes! Communication is so key. But it is not just about the church communicating with their members, it is also the ability for the members to easily communicate with their church. There has to be a solid, easy way to have a two-way conversation. Church’s have told me they want their members to be up to date easily about events, volunteer options, important information about their small groups etc … but don’t have an effective way to know that their members are getting the right messages/information at the right time. Members often miss announcements about specific events or opportunities either because they were only announced and weren’t heard or the medium with which it was communicated wasn’t seen. Inversely, their members don’t have a simple way to communicate back to them in real time for things like prayer requests, volunteer sign ups, small group sign up, sharing testimonies, give personal feedback etc.. Church’s have the desire to communicate and hear from their members to engage them in meaningful ways but don’t know where or how to begin implementing a process that works for them. aware3: That’s so right! Their members are feeling disconnected from the lack of connection, and the church feels almost helpless. When communication begins to breakdown, one of the big areas that may be impacted is the church’s ability to receive feedback and input from their members. Do you see this as well? aware3: Feedback is pretty crucial and it can really be tough to make that simple and easy for their members. You know, another area that really needs to be simple and easy is the member’s ability to make donations. Have you heard about churches experiencing any obstacles when it comes to managing their giving? Katrina: I am glad you brought that up! Church’s manage their giving in a number of ways. I know churches that are paying accounting firms to manage their giving because they don’t have an internal system to track every gift for them. This is usually due to the lack of quality reporting and is a costly problem. The churches are often frustrated by this, but don’t know of an alternative option. Regularly, I have conversations with Finance Pastors about their lack of being able to see details about each transaction. This typically leads to churches only having the ability to have one or two funds and the inability to separate specific gifts for particular events. A conversation that sticks out to me is a church that had missionaries or guest speakers regularly come and speak at their church. When this happened, they had no way to easily separate or distinguish the gifts that were given to a missionary. They spent hours accounting for which checks and cash given that Sunday were supposed to be given to their guest. It took them a few weeks to get the gifts transferred to the missionary. Like you said, giving needs to be simple and easy… both for the members and the churches. I have run into too many churches that have had struggles in this area. The churches need the flexibility to organize and manage their giving, and their members need to be able to give without feeling like it is a hassle. aware3: So very true. Well Katrina, I really appreciate your time today. You gave us some really great insights into some of the major struggles you are seeing with churches and how they engage with their congregations. Thank you. As your church community begins to grow, you too may start to see some of these same challenges. Our hope is that we have given you enough insight to be able to take action and start looking at a solution before the issues arise. If you are facing some of these issues today, then maybe the time to act is now.